Hilton Moorea Lagoon Resort & Spa is nestled between two bays on the heart-shaped island of Moorea and is set against a beautiful mountain backdrop which melts into a crystal clear lagoon. Feel at home in a stylish bungalow decorated in a contemporary Polynesian style with beautiful views of the beach or gardens from the private terrace. Enjoy a movie on the 25-inch flat screen TV and stay connected with high-speed internet access in your room. Unwind with a soak in the claw foot bath, fitted into the elegant marble bathroom. Relax under the shade of swaying palm trees at the sparkling outdoor infinity pool. 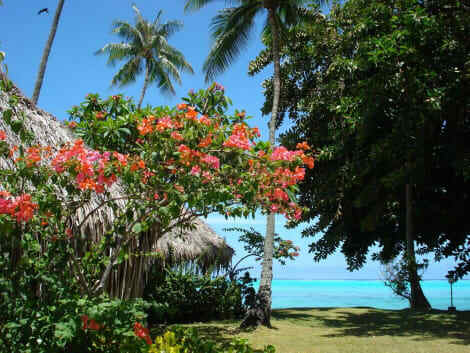 Explore this Moorea resort’s white sandy beach or relax in the luscious gardens. Visit the scenic lagoon, teeming with friendly tropical fish, and a gentle water playground for guests. Sample French Polynesian favorites served al fresco while taking in spectacular views of the South Pacific at the panoramic Arii Vahine restaurant. Enjoy a cocktail as the sun sets on this island paradise in the overwater Toatea Bar, or dine from the comfort of your Guest Room with 24-hour Room Service. Experience the Moorea Lagoon Spa, an oasis of relaxation. All of the Spa’s products are 100% organic and are derived from precious barks and exotic fruits to restore your spiritual and physical equilibrium. Work out in the 24-hour complimentary fitness center at the Hilton Moorea Lagoon Resort and Spa or enjoy a friendly game of tennis with other guests on the courts. 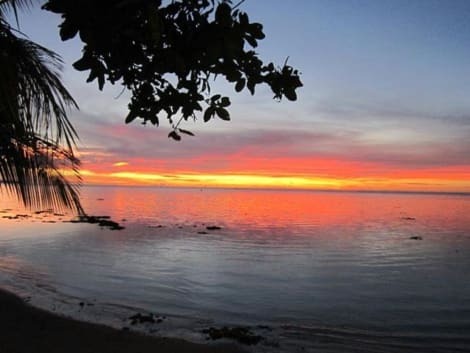 Located in Moorea-Maiao, Pension Motu Iti is by the ocean, a 2-minute drive from Pihaena Beach and 5 minutes from Moorea Tropical Garden. This beach hotel is 4.8 mi (7.8 km) from Maison Blanche and 5.8 mi (9.4 km) from Mount Tohivea. Featured amenities include multilingual staff, laundry facilities, and a library. For a surcharge, guests may use a roundtrip airport shuttle (available 24 hours) and a ferry terminal shuttle. Make yourself at home in one of the 15 air-conditioned rooms featuring refrigerators. Rooms have private balconies or patios. Cable television is provided for your entertainment. Bathrooms have showers and complimentary toiletries. 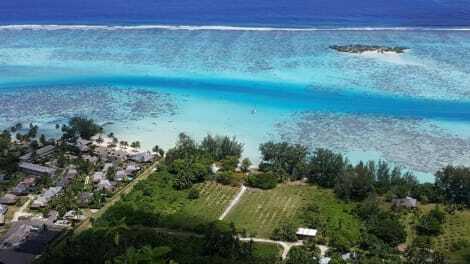 When you stay at Pension Fare Maheata in Moorea-Maiao, you'll be on the beach, within a 5-minute drive of Pihaena Beach and Moorea Tropical Garden. This beach apartment is 5.3 mi (8.5 km) from Mount Tohivea and 5.4 mi (8.6 km) from Belvedere Lookout. Make yourself at home in one of the 41 individually decorated guestrooms, featuring kitchenettes. Rooms have private furnished balconies or patios. Complimentary wireless Internet access is available to keep you connected. 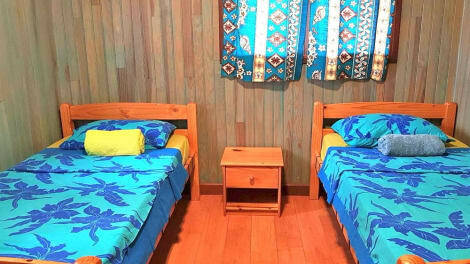 Conveniences include refrigerators and coffee/tea makers, and housekeeping is provided daily. 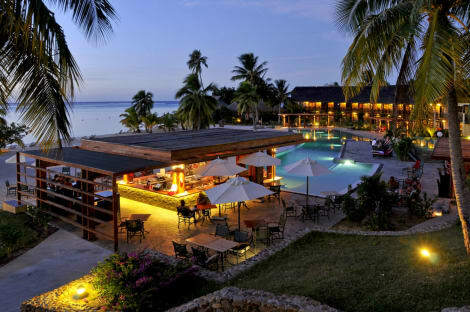 lastminute.com has a fantastic range of hotels in Moorea, with everything from cheap hotels to luxurious five star accommodation available. We like to live up to our last minute name so remember you can book any one of our excellent Moorea hotels up until midnight and stay the same night.